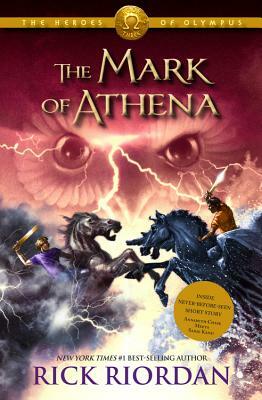 With old friends and new friends joining forces, a marvelous ship, fearsome foes, and an exotic setting, The Mark of Athena is be another unforgettable adventure by master storyteller Rick Riordan. RICK RIORDAN is the author of the New York Times #1 best-selling Percy Jackson and the Olympians series: The Lightning Thief, The Sea of Monsters, The Titan's Curse, The Battle of the Labyrinth, and The Last Olympian. His other novels for children include the New York Times #1 best-selling series The Kane Chronicles (The Red Pyramid, The Throne of Fire, and The Serpent's Shadow) and The Heroes of Olympus (The Lost Hero, The Son of Neptune, The Mark of Athena, and The House of Hades). He lives in Boston, Massachusetts with his wife and two sons. Learn more at www.rickriordan.com.